Vibrant Goslings Bermuda Rum print adorns this stylish t-shirt. A special garment wash gives this tee vintage appeal and lighter-than-air softness. 3.7-ounce, 100% ring spun combed cotton. 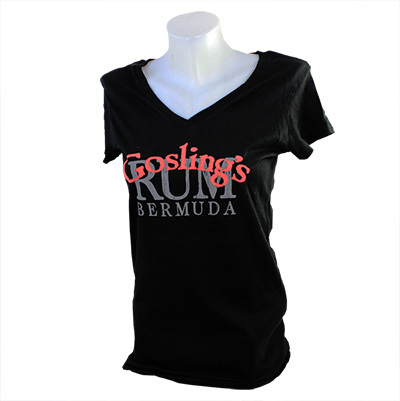 Goslings lettering cleverly screened in an applique style over a gray Bermuda Rum print.